I'm from Germany and a fan since 2004. Joe Dassin has got great songs with good lyrics. That's why I like his songs and his person. Bonjour, je suis un jeune Allemand, et je suis un fan de Joe Dassin parce que ses chansons ne sont pas des chansons pour écouter quand je repasse. Ce sont des belles chansons - Chansons pour toujours, je pense! I love his songs. Great voice, he was a very talented person! I try to learn French by learning his songs! 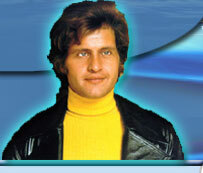 I'm very happy that there are two answers from people who are fans of Joe Dassin - like me. I've loved Joe Dassin's music for years, ever since a very generous French gentleman and professor offered me his album!